this October update features the first two collections of works of bKa’ brgyud pa masters edited by dPal brtsegs and published in the Mes po’i shul bzhag series (bKa’ brgyud gsung ‘bum phyogs bsgrigs). It also features further interesting publications arranged in the sections 2. Collected Works / Collections, 3. 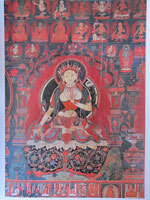 Tibetan Art, and 4. Miscellaneous. 1. lHo brag mar pa lo tsā’i gsung ’bum. 7 vols. (330, 313, 313, 319, 342, 293, 304 pp.). dPal brtsegs bod yig dpe rnying zhib ’jug khang (ed.). Mes po’i shul bzhag, no. 210–216; bKa’ brgyud gsung ’bum phyogs bsgrigs, no. 2–8. Krung go’i bod rig pa dpe skrun khang, 2011. ISBN 978-7-80253-327-1. 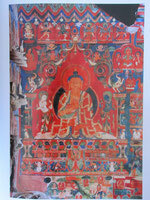 The Collected Works of lHo brag Mar pa Lo tsā ba Chos kyi blo gros (1002/1012–1097/1100). 2. rJe btsun mi la ras pa’i gsung ’bum. 5 vols. (517, 330, 353, 415, 333 pp.). dPal brtsegs bod yig dpe rnying zhib ’jug khang (ed.). Mes po’i shul bzhag, no. 217–221; bKa’ brgyud gsung ’bum phyogs bsgrigs, no. 9–13. Krung go’i bod rig pa dpe skrun khang, 2011. ISBN 978-7-80253-326-4. 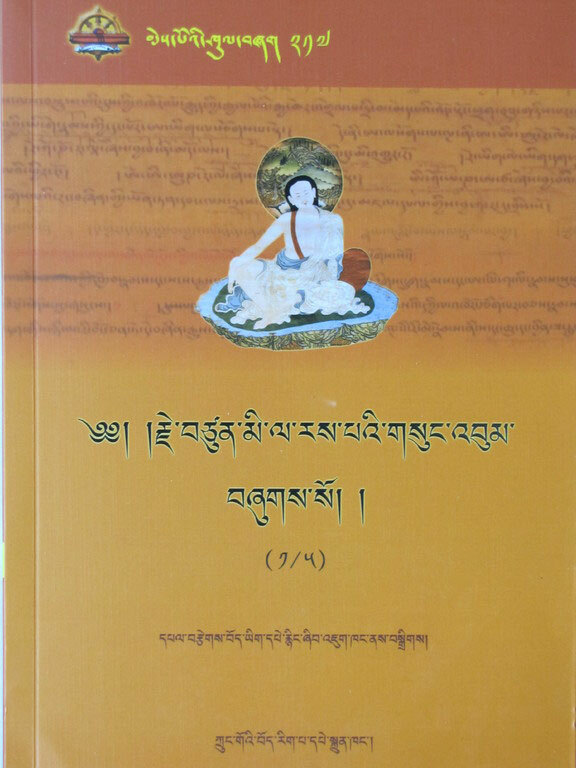 The Collected Works of rJe btsun Mi la ras pa (1052–1135). 1. A ’dzi chos sgar dpe bkon bsdu sgrig khang (ed.). A ’dzi mchog sprul nor bu dbang rgyal zhabs kyi bka’ ’bum. 8 vols (270, 345 (stod cha), 347–687 (smad cha), 303 (stod cha), 305–605 (smad cha), 409, 302 (stod cha), 303–582 pp. (smad cha)). Si khron dpe skrun tshogs pa / Si khron mi rigs dpe skrun khang, 2010. ISBN 978-7-5409-4587-9. 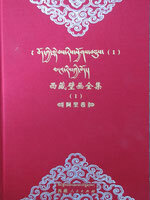 2. mKhan po Kun dga' bzang po (ed.). dPal ldan sa skya pa'i gsung rab grags chen bco brgyad. 18 vols. 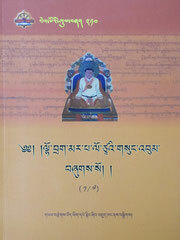 (nearly A4 size, soft cover), Krung go'i bod rig pa dpe skrun khang, 2011. ISBN 978-7-80253-369-1. Vol. 1: Sor thar mdo, Vol. 2: 'Dul ba mdo rtsa (stod cha), Vol. 3: 'Dul ba mdo rtsa (smad cha), Vol. 4: Tshad ma kun btus, Vol. 5: Tshad ma rnam 'grel, Vol. 6: Tshad ma rnam nges, Vol. 7: mNgon pa kun btus, Vol. 8: mNgon pa mdzod, Vol. 9: mNgon rtogs rgyan, Vol. 10: mDo sde rgyan, Vol. 11: dBus mtha' rnam 'byed, Vol. 12: sPyod 'jug, Vol. 13: dBu ma rtsa ba shes rab, Vol. 14: dBu ma 'jug pa, Vol. 15:dBu ma bzhi brgya pa, Vol. 16: Tshad ma rigs gter, Vol. 17: sDom gsum, and Vol. 18: Lam rim. 1. Bod ljongs mi dmangs dpe skrun khang ldebs ris rtsom ’bri tsu’u (ed.). Bod kyi ldebs ris phyogs bsdus (1), mNga’ ris kyi pod / 西藏壁画全集 (1): 阿里卷. Bod ljongs mi dmangs dpe skrun khang, 209 pp. (nearly A3 size, hard cover), 2011. ISBN 978-7-223-02979-7. 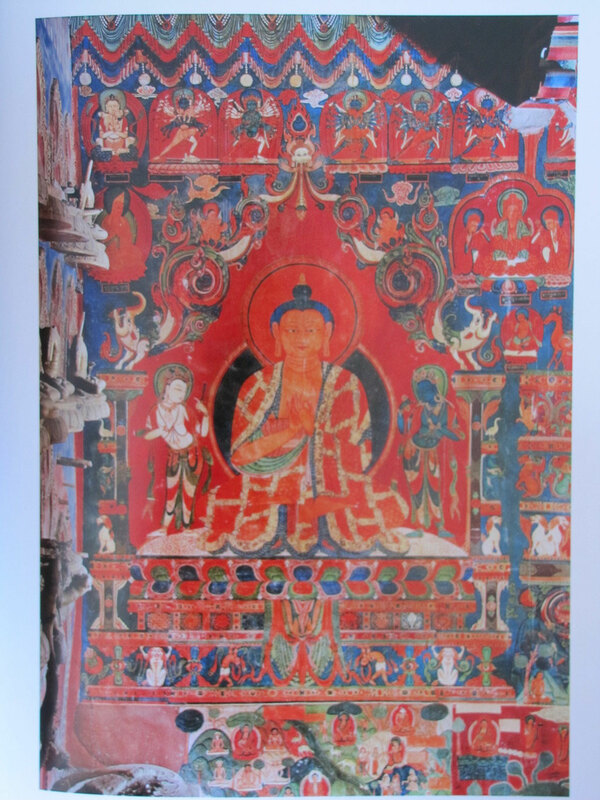 The first of two volumes on the murals of mNga’ ris, featuring fully colored plates of the murals in the rTsa mda’ Gu ge lHa khang dmar po (pp. 1–128) and in the rTsa mda’ Gu ge dKyil ’khor lha khang (pp. 129–209). The accompanying descriptions are in Tibetan and Chinese. 2. Bod ljongs mi dmangs dpe skrun khang ldebs ris rtsom ’bri tsu’u (ed.). Bod kyi ldebs ris phyogs bsdus (2), mNga’ ris kyi pod / 西藏壁画全集 (2): 阿里卷. Bod ljongs mi dmangs dpe skrun khang, 245 pp. (nearly A3 size, hard cover), 2011. ISBN 978-7-223-02978-0. 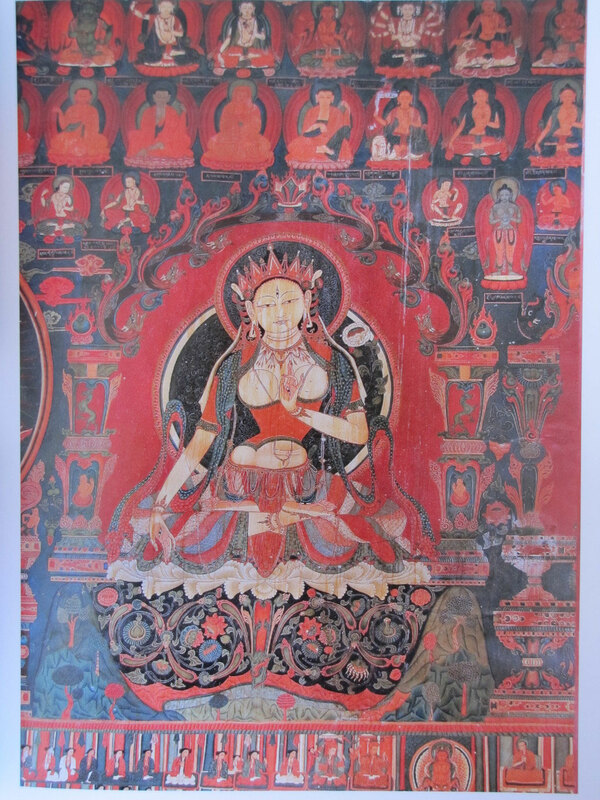 The second of two volumes on the murals of mNga’ ris, featuring fully colored plates of the murals in the rTsa mda’ Gu ge lHa khang dkar po (pp. 1–171), rTsa mda’ Gu ge ’Jigs byed lha khang (pp. 172–206), and in the rTsa mda’ Gu ge sGrol ma lha khang (pp. 207–245). 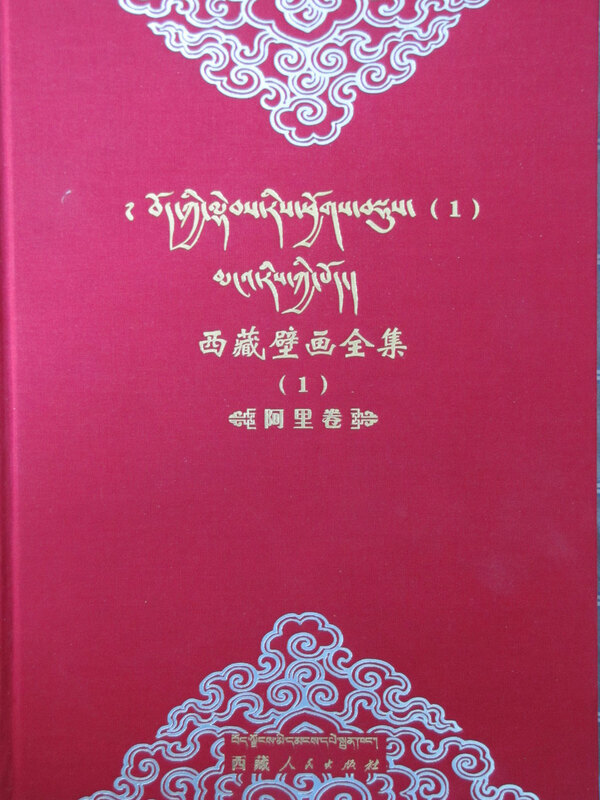 The accompanying descriptions are in Tibetan and Chinese. 1. Chab spel Tshe brtan phun tshogs, Nor brang O rgyan, and Phun tshogs tshe ring. Bod kyi lo rgyus rags rim g.yu yi phreng ba (hrag bsdus deb). Bod ljongs bod yig dpe rnyin dpe skrun khang, 404 pp. (nearly A4 size, soft cover), 2011. ISBN 978-7-80589-126-2. A summary of the Bod kyi lo rgyus rags rim g.yu yi phreng ba that was originally published in 3 vols. In the foreword also a forthcoming English and Chinese version are announced. 2. Shug gseb Rig ’dzin Chos nyid bzang mo (Zhal gsung mdzad mkhan: Rig ’dzin Chos nyid bzang mo; Yig thog tu sgrig mkhan: Grub chen Zla bar do rje, rGan ’phrin las chos sgron, Rig ’dzin rdo rje, sKal bzang chos grags, and mDo sngags bstan ’dzin). Shug gseb rje btsun rig ’dzin chos nyid bzang mo’i rnam thar. Bod ljongs mi dmangs dpe skrun khang, 305 pp., 2011. ISBN 978-7-223-03139-4. 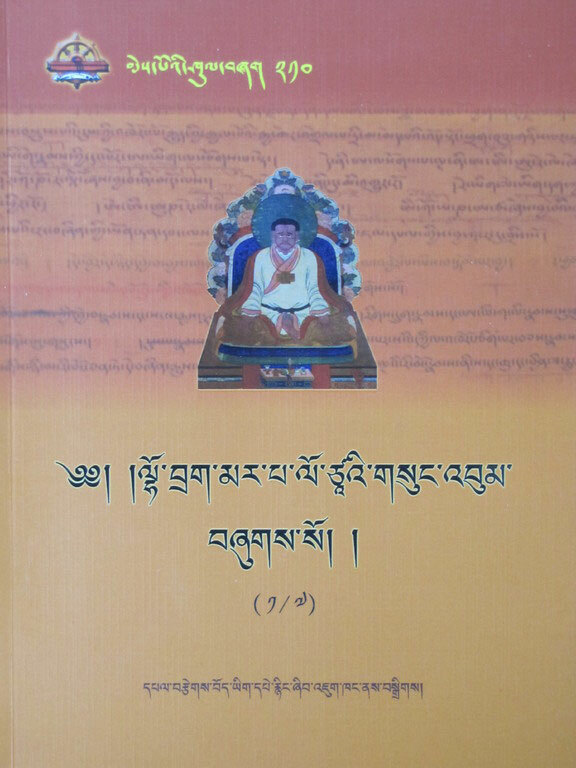 The (auto)biography of Shug gseb rJe btsun Rig ’dzin Chos nyid bzang mo (1865–1951) in Tibetan (pp. 1–171) and Chinese (pp. 175–305). 3. sDe dge par khang and dKar mdzes khul rtsom sgyur cus (eds.). sDe dge par khang gi dkar chag zhib rgyas su bkod pa shes bya’i sgo ’byed. Vol. 7: Kun mkhyen go rams pa bsod nams seng ge’i gsung ’bum. Si khron dpe skrun tshogs pa / Si khron mi rigs dpe skrun khang, 480 pp. (nearly A4 size, soft cover), 2010. ISBN 978-7-5409-4459-9. 4. Tshe ring chos 'phel (ed.). Gangs can bod zas. Lha sa: Bod ljongs mi dmangs dpe skrun khang, 244 pp., 2011. ISBN 978-7-223-02448-8. 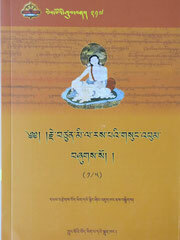 A fully colored Tibetan cookbook presenting on each page a picture of the dish accompanied with the recipe in Tibetan. It features the following sections: 1. Tshags sha’i le’u, 2. Lug sha’i le’u, 3. Phag sha’i le’u, 4. Bya sha’i le’u, 5. Nya sha’i le’u, 6. mNgar zas le’u, 7. dKar zas le’u, 8. ’Bru sna’i le’u, and 9. rGya khog le’u. 5. ’Gos Lo tsā ba gZhon nu dpal (1392–1481). Deb ther sngon po. 2 vols. (stod cha: 670 pp.and smad cha: 671–1274). Si khron mi rigs dpe skrun khang, 1984.